Regulatory T cells (Tregs) include diverse subsets of immunosuppressive cells that play a critical role in self-tolerance and immune homeostasis. 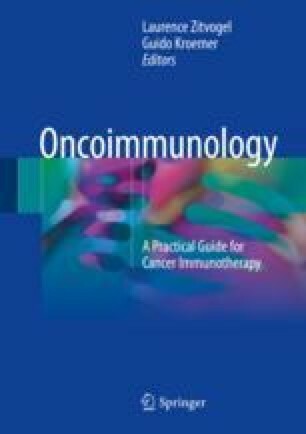 Due to their immunosuppressive capacities, Tregs are able to suppress antitumoral responses through several mechanisms and therefore enhance tumor escape and progression. Tregs are characterized by the expression of forkhead box P3 (FoxP3), which is essential for their development and function. While mouse Tregs express constitutively FoxP3, human Tregs do not necessarily do. Moreover, activated human conventional T cells (Tconv) transiently express intermediate levels of FoxP3. That is why the characterization and identification of human Tregs is more complex and involves more combined markers. Currently, in human studies, Tregs are identified by flow cytometry as CD3+ CD4+ CD25high CD127low cells. This work was supported by the Agence Nationale de la Recherche (ANR), the Ligue contre le cancer, the Association des Gastroentérologues Oncologues, SIRIC CARPEM, Labex Onco-Immunology, and INCA.